My trip to Ecuador was a personal success. I got to travel the country, live with a host family, and volunteer my time with street kids. Overall a great learning experience and a great way for any first time travelers to get a head start in seeing the world. I spent three months volunteering in ecuador through the rustic volunteer program. 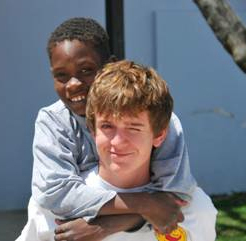 My placement was at a home for street kids, and I was living with a family a short distance away. Overall my experience was a very good one there, although there were a few things which proved to be challenges and could be improved upon. The one major concern I had was that the expectation of me were unclear in terms of what I was supposed to be doing while at the project. It was a good project, and I think my time there was beneficial to the kids but on a day to day basis it was hard to see the impact I was making since I was not really asked to do anything. Overall volunteers to the project I was at need to be self motivated and able to work in a place with minimal structure. I would give this information to prospective future volunteers with this project. In all other regards the program was fine and I would recommend such a trip for someone leaving the country for the first time or on their own. It was useful for me to have the immediate structure of the host family and co-ordinator on my first such trip abroad. My father and I choose Rustic Volunteer because of its reasonable cost in volunteer vacations. We really wanted to work with kids and so we were placed in La Casa De Ninaz, an orphanage for boys, in Quito Ecuador. Overall I really enjoyed my experience. The host family was wonderful and made us both feel very comfortable. The orphanage we were placed in was very safe and the staff and boys made us feel very welcome and comfortable as well. One thing we were not prepared for was the language barrier. We had only a little background in Spanish, and for this project I feel like we needed a whole lot more. No one at our host family or our project spoke English. We were very lucky in that one of the other volunteers spoke Spanish and could translate for us. I wish we would have known ahead of time, it may have influenced our placement choice. I would recommend Rustic Volunteer, I would just make sure you are aware of the language requirements and needs before choosing a placement. 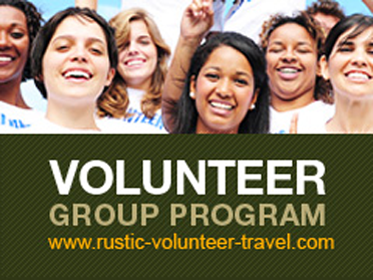 We appreciate if you kindly summarize your volunteer/Travel experience with Rustic Volunteer Program. I did my project in Quito, Ecuador. My project was to work on the "Garbage Dump Project". For this project, I worked in a daycare center. I was to teach 4-5 year olds, English. While I did that, I also helped out where ever I could, mostly with meals and cleaning up afterwards. There are many children in this center and each age group has only one adult assigned to them (15-20 children per age group and only one adult per group). They definitely need lots of help. The people were very friendly, although they did not speak English. I speak a little Spanish, but we managed. I lived with an Ecuadorian family and they were wonderful. They were very nice to me, helpful and made me feel very welcome. They didn't speak too much English either, but again, we managed quite well. It was a very good experience and I would do it again.